To teach piano basics, the Bastiens have created a new, rich course designed specifically for adult beginners. 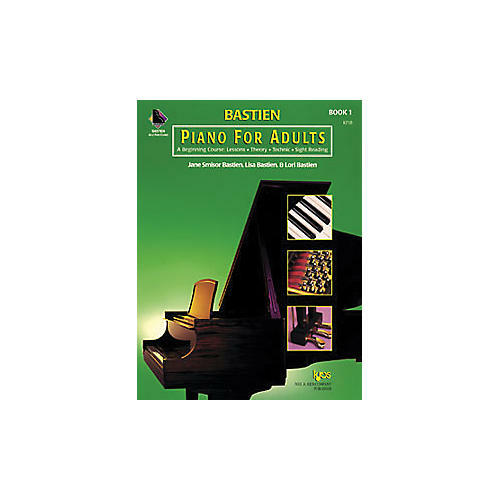 Bastien Piano for Adults is a welcome addition to the best-selling collection of Bastien methods and supplementary materials. Lessons, theory, technique, and sight reading are combined in one easy-to-use book. The series is gradually paced to ensure student confidence and success. The variety of music, custom selected for adults, includes famous classic themes, folk songs, spirituals, ragtime, blues, boogie, jazz, and Bastien originals that teach the basics in a straightforward, yet innovative manner.